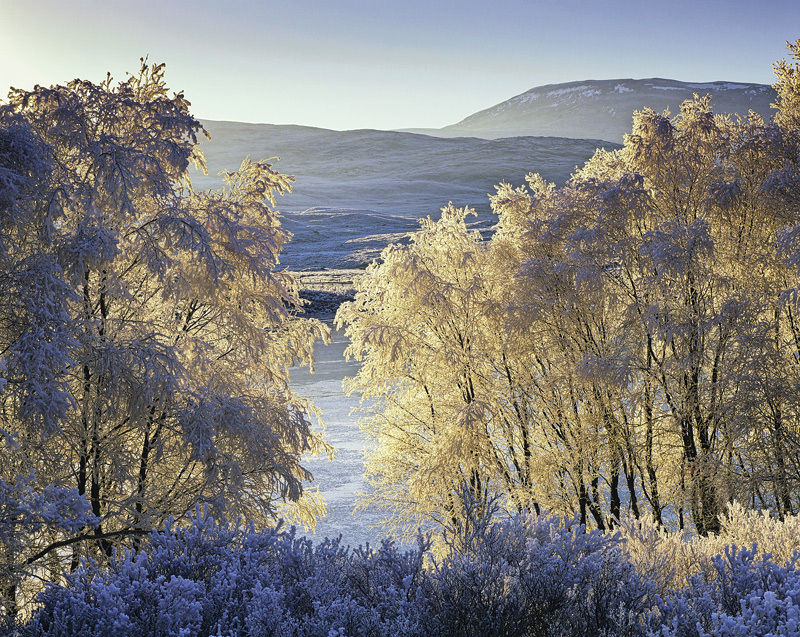 The dazzling brilliance of a fantastic and thrillingly cold winter morning at the edge of Loch Achanalt was tamed by a natural curtain of deeply hoar frosted birch trees their fine twiggery being perfect to generate and retain a thick crusty layer of rime ice. That curtain of ice turned the birch twigs to a golden brilliance much the same as electricity passing through the tungsten filament of a light bulb. the cool hues of reflected blue sky proved the perfect complement.